Lord Vishnu took his second incarnation in the form of a boar (Varaha) to protect the Earth from the mighty demon named Hiranyaksha, who had abducted her to Patal loka (the nether world). In his third incarnation as Narad, he propagated the virtues of nishkaam karma (performing one’s duties without bothering about the results). In his fourth incarnation as Nara-Narayan, he performed arduous austerities for the protection and propagation of Dharma or religiousness. Lord Vishnu’s fifth incarnation was as Kapila, which he took to protect the sashtra, which was on the verge of becoming extinct. He took his sixth incarnation in the house of Atri and Anusuya as Dattatreya, with the specific objective of propagating the most secret Brahma vidya to worthy people. His disciples included virtuous souls like Prahlad and others. Lord Vishnu took his seventh incarnation as the son of Ruchi Prajapati and Aakuti and was known as Yagya deva. His eighth incarnation was as Rishabh deva – the son of sage Naabhi and Merudevi. In this incarnation he established the norms for Grihashtha ashram, which later on became the guidelines for every householders. Lord Vishnu took his ninth incarnation as Prithu and ‘milked’ (extracted) various nutrients (cereals, pulses etc.) from the Earth, who had disguised herself as a cow and thus protected the populace from being starved to death. In his tenth incarnation as Matsya (fish), he protected the life of Vaivaswat Manu, who would not have survived otherwise. Lord Vishnu took his eleventh incarnation in the form of a tortoise (Kurma) and held the Mandarachal mountain on his back at the time when the ocean was being churned. His twelfth incarnation was as Dhanvantari and thirteenth as the most enchanting beauty-Mohini, to retrieve the ambrosia pot from the possession of the demons. He subsequently distributed it among the demigods, as a result of which they became immortal. In his fourteenth incarnation, Lord Vishnu manifested himself as Nrisimha (partly human and partly lion) and to protect his devotee Prahlad, killed the wicked demon Hiranyakashipu by tearing apart his abdomen with his sharp claws. His fifteenth incarnation was as Vaman (dwarf) in which he demanded all the three worlds from Bali-the most benevolent demon king and then sent him to Patal loka. In his sixteenth incarnation as Parasurama, he wiped out the whole caste of kshatriyas from the face of the earth for twenty-one times, as they had all become immoral. 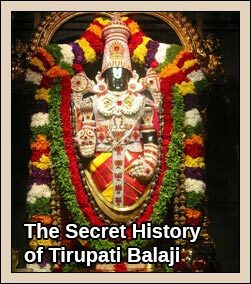 On being asked by the sages as to how did he come to know about the contents of the Garuda Puranaa, Sutaji told them– ‘Once, I had gone to Badrikashram, where I met the sage Vyasa. I requested him to enlighten me on various spiritual matters, to which he agreed saying that he was going to narrate the tales of Garuda Puranaa, which was first spoken by Lord Brahma to Narad, Daksha Prajapati and myself. The sage Vyasa then told Sutaji how once he, along with Narad, Daksha and Bhrigu had gone to Brahmaloka to see Lord Brahma. After reaching there, all three of them requested Lord Brahma to shed light on the essence of the real knowledge. Lord Brahma revealed to them that the Garuda Puranaa contained the essence of all the scriptures and Lord Vishnu himself had narrated its divine tales to him (Brahma). Describing the incident when Lord Vishnu had told the divine tales of Garuda Puranaa to him as well as Shiva, Lord Brahma said– ‘I once went to Kailash mountain accompanied by Indra and other demigods. We found Shiva engrossed in his meditation. We were amazed and asked him as to who was he meditating upon. Lord Shiva told us that he was meditating upon the omnipresent, omniscient and the omnipotent Vishnu, in whom the entire universe exists. Lord Shiva also revealed to us that this was all he knew of Vishnu’s power and also that if we wanted to know more about him then we will have to ask Lord Vishnu himself. So, all of us including Shiva went to Vishnu loka and requested Lord Vishnu to clear our doubts on various topics which confused us. Lord Vishnu gave a long discourse covering all the major religious topics. Describing how Garuda pleased him with his deep devotion, Lord Vishnu said– ‘During ancient times, Garuda once did an austere penance to please me. I appeared before him and expressed my willingness to fullfil anything that he wished for. Garuda wanted to liberate his mother, Vinta, from the slavery of Kadru – the mother of serpents. He also wanted to avenge his mother’s humiliation at their hands. He also expressed his desire of becoming immortal by having a Puranaa credited to his name and finally, he requested me to give him the privilege of becoming my mount. I blessed Garuda, as the result of which all his wishes were fulfilled. ‘ O Rudra! Then an enormous sized egg came into existence. I dwell within that egg and so do all the other deities. In fact, the whole universe is situated within that egg. The almighty Vishnu creates in the form of Brahma, nurtures in the form of Vishnu and annihilates in the form of Shiva at the end of each kalpa. The creations of the almighty are known as ‘Sargas’. First of all, the almighty creates the Mahat tatva, which symbolizes his gross quality. ‘ Just according to the curse of Shiva, Daksha Prajapati was reborn in the clan of Dhruva. His father’s name was Praachetas and his mother was Marisha. In the beginning, Daksha Prajapati tried to do creation by merely expressing his will but his efforts went futile because of Shiva’s curse. So, he had no option but to take the help of copulative creation and to meet his objective he married Asikni- the daughter of Viran. Dharma’s wives Vishva and Saadhya gave birth to the Vishvedevas and Saadhyaganas respectively. Similarly, Marutvati gave birth to Marutvaans and Vasu to Vasuganas. Dharma’s wife named Bhanu gave birth to twelve Bhanus while Muhurta gave birth to Muhurtaganas. Lamba gave birth to Ghosh while Yami gave birth to Naagvithi. Sankalpa gave birth to Sankalpa. Kashyap’s wife Aditi gave birth to twelve Aadityas while Diti gave birth to two sons (demons)- Hiranyakashipu and Hiranyaksha. Diti also had a daughter named Sinhika, who was married to Viprachiti. Hiranyakashipu had four sons- Anuhlad, Hlad, Prahlad and Sanhlad. Aayushman, Shibi and Bashkal were the sons of Sanhlad. Prahlad had a mighty son named Virochan who himself had a son named Bali. Bali had one hundred sons in all and Baan was the eldest among them. Hiranyaksha had six sons all of whom were very brave and valiant. Their names were Utkur, Shakuni, Bhutsantapan, Mahanam, Mahabahu and Kaalnaam. Danu had numerous sons who were all very brave-Dwimurdha, Shankar, Ayomukh, Shankushira, Kapil, Shambar, Ekachakra, Mahabahu, Tarak, Mahabal, Swarbhanu, Vrishaparva, Puloma, Mahasur and the mightiest among them-Viprachiti. Puloma and Kalka, both daughters of Vaishwanar were married to sage Kashyap. Kashyap had sixty thousand sons (demons) from both of them. Demons such as Nighat Kavach came from the lineage of Prahlad. Tamra had six daughters and their names were Shuki, Shyeni, Masi, Sugrivi, Shuchi and Gridhika. Shuki gave birth to numerous species of birds like Shuka (Parrot), Uluka (owls) and Kaak(crows). Similarly Shyeni gave birth to Shyen (hawks) and Gridhika to Gridh (vultures). Shuchi was the mother of aquatic birds while Sugrivi gave birth to various animals like, horses, camels, donkeys, etc.’ Arun and Garuda were born to Vinta while Sursa and Kadru gave birth to serpents. Krodha gave birth to powerful Pishachas, Surabhi to cows and buffaloes, Era to various vegetation like, creepers and grass, Khaga to Yakshas and Rakshas, Muni to Apsaras and Arishta gave birth to Gandharvas. Diti gave birth to fourty-nine Marutganas, all of whom are in fact the incarnations of Lord Vishnu. SURYA (SUN) — OM SURYA MURTAYE NAMAH. OM HRAM HRIM SAH SURYAY NAMAH. 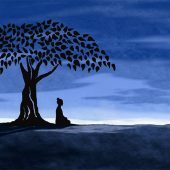 CHANDRAMA (MOON)– OM SOMAY NAMAH. RAHU (DRAGON’S HEAD)–OM RAHAVE NAMAH. KETU (DRAGON’S TAIL)– OM KETAVE NAMAH. – OM VASUDEVA AASANAY NAMAH. OM AH OM NAMO BHAGAVATE ANIRUDDHAY NAMAH. OM BHUH OM NAMO BHAGAVATE VARAHAY NAMAH, ETC. A devotee should begin his worship by making salutations to goddess Sarswati by chanting– OM HRIM SARSWATYAI NAMAH. OM SRING HRING MAHALAKSHMYAI NAMAH. Then follows the rituals of ‘Shadangnyas’ that is performed by chanting the specific mantras meant for them. While describing the chariots of all the nine planets, Lord Vishnu told Rudra–‘ The chariot of Surya deva(sun) has an unbelievable expanse stretching up to nine thousand yojans. The axle of the chariot is one crore and fifty seven lakh yojans long and wheels are fixed at both its ends. The wheels have six circumferences symbolizing the six main seasons and five spokes symbolizing the five different units of time measurement in them. The chariot of Surya(sun) is pulled by seven horses. These horses symbolize the seven ‘chhands’ (stanzas used in poetry)- gayatri, vrihati, ushnik, jagati, trishtup, anushtup and pankti. The chariot of chandrama(moon) has three wheels in it. It is pulled by ten white horses. The color of Mangal’s(mars) chariot is golden and is pulled by horses of dark red color. Buddh’s(mercury) chariot is of brown color and is pulled by eight horses of the same color. The chariot of Vrihaspati(jupiter) is made of gold and is pulled by eight horses of yellowish complexion. Jupiter remains in each of the twelve zodiacs for a year. Shukra’s (venus) chariot is well escorted by his army. The chariot has a mast on it’s top and is pulled by horses that are found on earth. · Horses pulling the chariot of Shani(saturn) are of varicolored. · The chariot of Rahu is pulled by eight horses, which are of the color of smoke. · The chariot of Ketu is pulled by eight horses, which are red in color. Lord Vishnu, giving some specific combinations of days and tithis considered to be inauspicious said-‘ One should never travel on the following inauspicious days: Dwadashi falling on Sunday or Ekadashi falling on Monday or Navami falling on Wednesday or Ashtami falling on Thursday or Saptami falling on Friday and Shashthi falling on Saturday. AMRIT YOGA — It is the most auspicious yoga for commencing any work. The conjunction of a particular day and specific nakshatra constitute this yoga. Few examples of Amrit yoga are Mool nakshatra falling on Sunday, Shravan nakshatra on Monday, Uttara bhadrapad on Tuesday, Kritika on Wednesday, Punarvasu on Thursday, Purvafalguni on Friday and Swati nakshatra falling on Saturday. VISHA YOGA –It is considered to be an inauspicious yoga and unsuitable for commencing any important work. Few examples of this particular yoga are Bharni nakshatra falling on Friday, Chitra nakshatra on Monday, Uttarashadha on Tuesday, Dhanishtha on Wednesday, Shatabhisha on Thursday, Rohini on Friday and Revati nakshatra falling on Saturday. NOTE — The period of years stated in the above mentioned Graha- dashas are at variance from those mentioned by sage Parashar, which is in practice nowadays. Lord Vishnu said-‘ Anybody having three parallel lines on his forehead lives happily for sixty years whereas two parallel lines indicates that he would live till the age of forty years. Only one line on the forehead indicates that he would have a short life but if the line stretches up to both the ears then he lives for a century. If two parallel lines on the forehead stretches up to both the years then the concerned person lives for seventy years while a triple parallel lines reaching both the years indicates that he would live till the age of sixty years. A forehead devoid of any line on it means that the concerned person would live for only forty years while a cobweb of intersecting lines on the forehead indicates that the concerned person is definite to die a premature death. A forehead with a Trident or an Axe mark on it indicates that the concerned person would be prosperous and live for a century. Lord Vishnu, continuing with his narration told Shiva that the age of a person could be predicted by the lines found on his palms- ‘ If the life line reaches the base between index and middle fingers then the concerned person lives for a century. If the life line is long, clear and without intersections from other lines then the concerned person lives for a hundred years. Lord Vishnu said-‘A woman having a round face, curly hair and lower portion of her navel slightly slanted towards right, is extremely fortunate not only for herself but also for her whole clan. Similarly, a woman with golden complexion and hands as beautiful and soft as red lotus flower is exceptionally chaste and faithful towards her husband. A woman having dry and unruly hair and also round eyes becomes a widow. A woman whose face is round like a full moon and which radiates like a rising Sun and whose lips are juicy like a ‘Bael’ fruit (Wood apple), enjoys a happy and contented life. A woman having a cobweb of lines on her palms is sure to lead a torturous and painful life whereas a palm with few lines indicates that she would be poor. If the lines are pink, then they indicate happiness, prosperity and good health whereas blackish lines indicate that she would live a life of slavery. Any woman having either a ‘Chakra’, a hook or a ear ring mark on her hand indicates that she would beget worthy sons and rule like a queen. A woman having hair around her breasts as well as a protruding lower lip spells doom for her husband. Any woman having a festoon mark on her palms indicates that she would get married in a family superior to her in status. A woman having a round navel with brown hair around it leads a life of slavery despite being born in a royal family. A woman whose little toes as well as big toes of both the legs do not touch the ground while walking spells doom for her husband. In the same manner beautiful eyes indicate good fortune while soft and tender skin indicate a happy married life. Describing how a Shaligram is named on the basis of number of Chakra present on it, Lord Vishnu said-‘ If there is only one Chakra on the Shaligram idol then it is called ‘Sudarshan’. In the same way, Shaligram with two Chakras is known as ‘Laxmi Narayan’ while that having three Chakras on it is called ‘Achyut’. Shaligram with four Chakra on it is known as ‘Chaturbhuj’, that with five Chakras ‘Vasudev’. Similarly, Shaligram with six, seven, eight, ninth, tenth, eleven and twelve Chakras are called ‘Pradyumana’, ‘Sankarshan’, ‘Purushottam’, ‘Navavyuha’, ‘Dashatmak’, ‘Aniruddha’ and Dwi-Dashatmak respectively. Shaligrams with more than twelve Chakras are called infinite. ‘Seeing no other option, the worried deities took refuge of ‘Balasur’ and requested him to offer himself for sacrifice so that the yagya could be accomplished without any hitch. Balasur was bound by his promise so he agreed. This way, the deities were able to accomplish their yagya. But, a strange event coincided with the death of Balasur, which surprised even the deities. The virtuous deed of offering himself as a sacrificial being in the yagya ceremony had amazingly transformed Balasur’s corpse into jewels. Deities tried to carry the ‘Jewel-body’ through the aerial route towards a safer place, but it was fragmented into countless pieces due to the impact of ferocious speed of the wind it had to negotiate. These pieces scattered all over the places- ocean, rivers, Mountains, Forests, etc. In course of time these places got transformed into countless mines of jewels and precious stones such as Vajra (diamond), Muktamani, Indraneel, Sphatik, Prawal, Pushparag and many more. Sutaji, while giving the names of some prominent places of pilgrimage told the assembled sages-‘The banks of Ganga are considered to be the holiest among all the places of pilgrimage. The holy Ganga, which originates from the Himalayas in the north, ultimately gets merged with the ocean in the east. During her entire course of flow, she passes through numerous holy places, which owe their holiness mainly to her. Although, any place situated on the banks of Ganga is considered holy, yet Prayag, Haridwar, Varanasi and Ganga sangam (The place where she meets the ocean) have special significance and there is no other place as holy as each of them. Prayag is believed to fulfil both the wishes, which a man aspires for- worldly enjoyments as well as salvation. Performing the rituals of pinda daan here not only helps the ancestors to liberate but also himself. Varanasi is the same place where lord Shiva and Keshav have their respective abodes. Donating at Kurukshetra brings incomparable virtues and gives both worldly enjoyments as well as salvation. Kedar teerth is capable of liberating even a heinous sinner from all his sins. Few other places considered very holy are- Shwetdweepa, Naimisharanya, Pushkar, Ayodhya, Chitrakut, Gomti, Kanchipuri, Sri Shail, Kaam- teerth, Amarkantak, Ujjain, Mathura, Govardhan, etc. All these places have great religious significance and each of them is capable of liberating a man from all his sins. Once, while narrating how Gaya, a prominent place of pilgrimage in eastern part of India got its name, Lord Brahma told sage Vyas-‘ During ancient times there lived a mighty demon named Gaya. He used to torment the deities, who ultimately went to seek the help of Lord Vishnu. Lord Vishnu successfully killed Gayasur after a fierce mace-duel. The place where Gaya died became famous by his name. There is a grand Vishnu temple situated at Gaya where there is a magnificent idol of Lord ‘Gadhadhar’ (Lord Vishnu holding a mace in his hand). Gaya is considered to be the most ideal place of pilgrimage for performing the shraddh rituals. It is believed that a person goes to hell if he dies in the following circumstances- if he dies without his consecrations being performed, or if a wild animal kills him, or if he meets an accidental death no matter what the reasons are. But, if ‘Shraddh rituals’ are performed at ‘Gaya’ then the soul of such a man gets rid of the tortures of the hell and goes to heaven. PARLOKAM GATE MOKSHAM KSHAYMU PATISHTHATAAM. There are many other places as holy as the banks of Falgu and performance of ‘Shraddh rituals’ over there give undiminished virtues to the ancestors – Dharma-Prishtha, Brahmasar, Gayashirsha, Akshay-Teerth, Dhenukaranya are few such places capable of liberating twenty generations of a man. The entire city of ‘Gaya’ is considered sacrosanct and performing the rituals of ‘Shraddh’ or offering Pinda daan to ancestors at any place within ‘Gaya’ helps the soul of the ancestors to attain to Brahmaloka. Before setting out for Gaya to offer Pinda daan, a man should appropriately perform ‘Shraddh rituals’ in the village or town he lives. Each step taken towards Gaya acts as a stepping stone to the heaven for the ancestors. Getting one’s head tonsured or observing fast is prohibited in some places of pilgrimage like Badrinath, Kurukshetra, Jagannathpuri and Gaya. There is no time restriction on the performance of Shraddh rituals at Gaya and they can be performed anytime. After reaching Gaya, a man should first of all invoke his ancestors while taking bath in the holy Falgu and offer pinda daan to them. He should then visit the temple of Lord Gadadhar(Vishnu) and worship the deity. The next day, he should once again perform the Shraddh rituals at Dharmaranya and Matangwapi, two sacrosanct places having great religious significance. On the third day, he should perform the rituals of ‘Tarpan’ on the banks of ‘Brahmasada teerth’ and then go to ‘Koop-teerth’ and ‘Yoop-teerth’ to repeat the performance of Shraddh rituals. Lord Brahma then narrated a tale glorifying the significance of performing ‘Shraddh rituals’ at Gaya- ‘ O Vyas! Once upon a time there lived a trader who was sonless. One day, while he was on his pilgrimage, he met a restless ghost, who requested him to perform the rituals of Pinda daan at Gaya so that not only he became liberated from the pains and tortures of being a spirit but also he (Trader) went to heaven. The trader went to Gaya accompanied by his younger brother, as per the request of the Ghost and not only performed the rituals of ‘Pinda-daan’ for the ghost but also for his own ancestors. One day while Vishal was having a walk in the royal garden he was amazed to see three entities descending down from the sky. After all three of them had landed on the ground, Vishal had a close look at them. One of them was fair while the second one’s complexion was reddish. The third and the most ferocious among them was of dark complexion. For a moment Vishal was dumbstruck by this mysterious sight but it did not take him long to gather his composure. He asked them as to who they were and was stunned by the answers he got. Having said this all three of them disappeared in a moment. Vishal was extremely satisfied that he had been successful in fulfilling one of the major obligations towards his ancestors (pitra-rina) by helping them attain to heaven. He enjoyed a long life and after his death he too went to heaven. Once, Sutaji recounted the following tale to the assembled sages, which had been originally told by sage Markandeya to Kraunchki long ago- ‘Once, sage Ruchi became so disenchanted with the world that he decided to remain a bachelor, a decision which made his ‘Pitras'(ancestors) extremely worried. They tried to change his mind by citing numerous benefits of householder’s life and the yeomen service he does to the society. Thereafter a search for an ideal match began but even after best of his efforts he did not get any. Prajapati Ruchi then decided to please Lord Brahma by his austere penance. He commenced his penance, which continued for a very long period. Finally, Lord Brahma appeared and advised him to please his ‘Pitras’. Acting on the advice of Lord Brahma, Prajapati Ruchi eulogized his ancestors and performed the rituals of ‘Tarpan’ to pacify their souls. All his ‘Pitras’ appeared and blessed him. This was the day Prajapati Ruchi was eagerly waiting for. He decided to get married then and there so he invited all the prominent sages and the marriage ceremony was solemnized in their presence. In course of time, a son named ‘Rauchya’ was born to them. He was a great sage after whom a Manvantar was named. A dwija, whose ‘Upanayan sanskar’ has been performed, must face southwards while relieving himself in the night whereas during daytime he should face northward. Subsequently, he should purify himself by properly washing his urinary organ with mud (soap) and water. He should also wash his hands and feet. The purification is believed to be incomplete until and unless the rituals of ‘Aachman’ (ritualistic rinsing of the mouth) have been performed. Next morning, after having a bath, he should do ‘Pranayam’ and chant the sacred Gayatri mantra facing east. In the evening he should chant Gayatri mantra facing south. After this the ritual of ‘Bhikshatan’ is performed whereby he seeks alms and donates everything that he gets to his Guru as a mark of respect to him. After finishing his education the celibate should shave his beards and moustaches for the first time. Strict guidelines have been laid down for each caste with respect to this particular consecration. A Brahmin should get consecrated with this ritual in his sixteenth year while a Kshatriya should get it performed in his twenty- second year. Similarly, a Vaishya should get consecrated with this ritual in his twenty-fourth year. The above mentioned age limits are also the maximum before which respective castes are supposed to get consecrated with the sacred thread ceremony failing which he becomes a religious outcaste. His education being complete now it is the time for him to enter the life of a householder. But, before leaving the hermitage he should pay ‘Dakshina’ as a mark of gratitude to his Guru for all the knowledge he has imparted to him. With the permission of his Guru, he should then marry a girl who is beautiful, younger to him and belonging to different ‘Gotra’. Although the best option for him is to marry a woman belonging to his own caste, but he is allowed to marry outside his caste, provided the woman hails from a caste inferior to him but under no circumstances he should marry a woman belonging to superior caste. An ideal wife is one who obeys the commands of her husband without any inhibition. According to the scriptures the best time for a married couple to copulate is after the woman has had her menstruation, especially till sixteen days after her periods have commenced are considered best for this purpose. But, there are also certain days on which making sexual contacts is prohibited- the first four days after her periods have started, Ashtami, Chaturdashi, Amavasya and Purnima are few such days. If the above given rules are followed then a couple can beget worthy sons possessing good qualities. Considering the fact that a woman has sexual urge eight times more than a man, scriptures have also advised a man not to overlook the sexual urge of his wife and to satisfy her without bothering about the prohibited days. Describing the methods of purifying different articles, Lord Vishnu reflected on the instructions which sage Yagyavalkya had once given to other sages in this regard-‘ Substances like gold, silver, conch, vegetables, rope, leather articles, etc. become pure once they are washed with water. In the same way, utensils made of wood or animal’s horn become pure after they have been chiseled. Utensils used in yagya become pure after they have been rubbed with mud and then washed with water. Washing woolen and silken clothes with tepid water or cow-urine make them pure. Land is purified if it is coated with cow-dung. Copper vessels, articles made of lead and Tin vessels become pure if cleaned with a solution of alkali, acid and then washed with water. Iron and Bronze vessels become pure if cleaned with ash and water. The followings are believed to be pure- sun-light, fire, cow, horse, earth, air, dew-drops, food-grains up for sale in the market, etc. A man should perform Aachaman in the following circumstances- after his bath, after drinking water, after sneezing, after waking up from sleep, after having food, after having a walk on dusty path, after changing clothes, etc. Describing the proper way of performing Shraddh rituals, sage Yagyavalkya told the assembled sages-‘ A performer of Shraddh rituals should invite able Brahmins and offer them seats of Kusha grass. First of all an invocation is made to ‘Vishvedeva’ by chanting a mantra in his praise, an action which is followed by scattering grains of barley in the vessels kept in front of the Deity’s idol. Subsequently, some water and a small quantity of barley is taken in a small vessel, which is then handed over to the Brahmins along with other articles such as ghee lamp, garland, incense, etc. There are specific mantras for this particular ritual. After that he should offer seats of Kusha grass to all his ancestors one by one beginning from the left hand side and subsequently moving on to the right hand side. All the ancestors are then invoked with specific mantras. The scriptures allow the use of sesame seeds in place of barley if latter is unavailable due to some reason. These sesame seeds should be kept in a ‘Ardhya patra’ and placed to the left side of each ‘Pitras’ (ancestors) in an inverted position. While performing ‘havan’ he should make offerings of ‘ghee’ and other articles in the ‘havan kunda’. Finally, Brahmins are fed after which the performer of Shraddh rituals offers Pindadaan in the name of his ancestors. After that he helps all the Brahmins perform ‘Aachaman’ and gives donations to them. The idol of Vishvedeva is immersed in a nearby river or pond and the inverted pots are kept back in the normal position. Finally, all the Brahmins are seen off with respect. Shraddh rituals performed in the above mentioned way immensely satisfy the ancestors and help them attain to heaven. Continuing with his discourses, sage Yagvalkya told the assembled sages that an enlightened soul is aware of the fact that the mortal world being impermanent in nature has its beginning as well as its end. He is also aware that a man reaps the fruits of his evil deeds in the form of ‘Adhidaivik'(heavenly wrath), ‘Adhyatmik'(obstacles in spiritual development) and ‘Adhibhautik’ (worldly problems like diseases, poverty, etc.) That is why he endeavours to follow the path of virtuosity so that he can attain salvation-the ultimate objective of man’s life. Anybody engaged in sinful deeds is definite to go to hell whereas virtuous deeds help a man to attain to heaven. After tasting the fruits of his actions he once again has to take birth to realize the unfulfilled wishes of his previous birth. This cycle of transmigration is an endless process, leading to countless births and deaths of a man. He experiences unbearable pains in his mother’s wombs lying in an inverted position for nine months. Once again he has to go through the same dreadful experiences of youth, old age, diseases and death. A sinner, after tasting the fruits of his actions in the heaven or hell, depending on his virtuous or sinful deeds takes re-birth on the basis of the gravity of sins committed. Killing a Brahmin is believed to be the most heinous of sin and the person who has committed such a sin after having suffered the tortures of hell takes re-birth as a donkey or a dog. In the same way a person who has stolen gold takes re-birth as lowly creatures such as worms or insects. A drunkard takes re-birth as a frog and a person developing illicit relationship with his teacher’s wife takes re-birth as grass or hay. One who shows disrespect to his parents is reborn as a tortoise whereas anybody who wishes ill of his friends is reborn as a donkey. While describing various means by which a sinner can atone for his sins, sage Yagyavalkya said-‘ A man is certain to meet downfall and degradation in the following three conditions- if he goes against the instructions given in the scriptures, indulges in prohibited activities and runs after sensual pleasures. Atoning for one’s sin is the best means of getting liberated from his sin as well as guilt. A sinner who does not atone for his sin goes through unbearable tortures and pains in hells more horrible than in ‘Maharaurav’ (name of a hell). Very severe punishment has been recommended for a person, who has breached the modesty of a woman especially if she happens to be his friend’s wife, teacher’s wife, his own daughter or sister-in-law, etc. Scriptures are of the opinion that such a sinner should be killed without showing any mercy. If the woman is a willing partner in this ghastly crime then even she should be meted out the same punishment. A person who has killed a Brahmin should atone for his sin by seeking alms for twelve years carrying a skull as his begging bowl. He should sustain himself on whatever he receives as alms. Protecting a cow’s life also helps a man from getting liberated from the sin of ‘Brahma-hatya’. A drunkard should atone for his sin by consuming any of the following- boiling liquor, ghee, cow-milk or cow-urine. A person accused of stealing gold can become liberated from his sin by donating gold equivalent to his own weight. 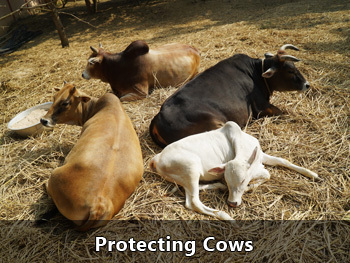 A person who has killed a cow can become liberated from his sin by consuming ‘Panchgavya'( a mixture of cow-milk, cow-dung, cow-urine, ghee and curd) and leading the rest of his life in the servitude of cows. YAMA (RESTRAINING PASSION)- This particular austerity comprises of ten virtues- Celibacy, Forgiveness, Meditation, Truthfulness, Honesty, Non-violence, Not stealing, Gentleness and Self control. NIYAMA (DAILY ROUTINE)- This austerity stresses the importance of purity: both of the body as well as of the mind. It comprises of the following activities: bathing daily, contemplation, observing fast, performing oblations, self study, abstinence, penance, avoiding anger, being respectful towards teacher and purity. MAHASANTAPAN VRATA- This particular austerity comprises of specific rituals related with the usage of ‘Panchagavya'(a mixture of cow milk, curd, ghee, cow urine and cow dung). On the first day of the austerity a devotee should have only milk, on the second day curd, on the third day ‘ghee’, on the fourth day ‘gomutra'(cow urine), on the fifth day ‘gomaya’ (cow dung), on the sixth day he should live only on ‘kushodak'( drinking water from a vessel in which ‘kusha’ grass have been kept) and on the last day of the austerity he should observe complete fast. 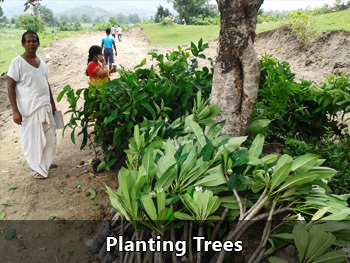 PARNA KRICHCHHA VRATA- Separate solutions of ‘Palash'(Butea frondosa), ‘Gular'(Ficus glomerata), ‘Kamal'( lotus) and ‘Bael’ tree (wood apple) are prepared after boiling the leaves of respective vegetation mentioned above. On the first day of the austerity a devotee should have only ‘Palash’ solution while on the second day he should have ‘Gular’ solution. On the third day he should have ‘Kamal’ solution while on the fourth day he should live only on ‘Bael’ solution. On the fifth day of the austerity he should live only on ‘Kusha’ grass solution and nothing else. This is the manner in which the austerity of ‘Parnakrichchha vrata’ is observed. TAPTA KRICHCHHA VRATA- A person observing this austerity should begin by having hot milk on the first day followed by tepid ghee and lukewarm water on the second and third day respectively. He should observe a complete fast on the fourth day. PAAD KRICHCHHA VRATA- This particular austerity lasts for four days. On the first day a devotee should observe ‘Ekabhakta vrata'(having food only once a day in the noon). On the second day he should observe ‘Nakta’ vrata(having food only once a day in the night). On the third day he should break his fast by having whatever is available with him because anything that has been provided by others is strictly prohibited. He should observe a total fast on the fourth day. When a devotee observes these cycles of austerity for three times then it is called ‘Prajapatya krichchhra vrata’. 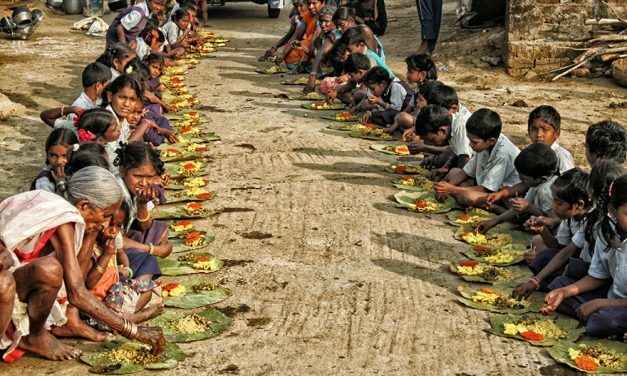 ATI KRICHCHHA VRATA- Rituals of this austerity is more or less similar to that of Prajapatya krichchhra vrata with a slight difference- here fast is broken with a handful of cooked food. When this particular ritual is observed for four days then it is called Atikrichchha vrata. KRICHCHHA ATIKRICHHA VRATA- Observing the rituals of Atikrichchha vrata for twenty-one days living only on milk and water is called Krichchhakrichha vrata. PARAK VRATA- Observing complete fast for twelve continuous days is called Parak vrata. 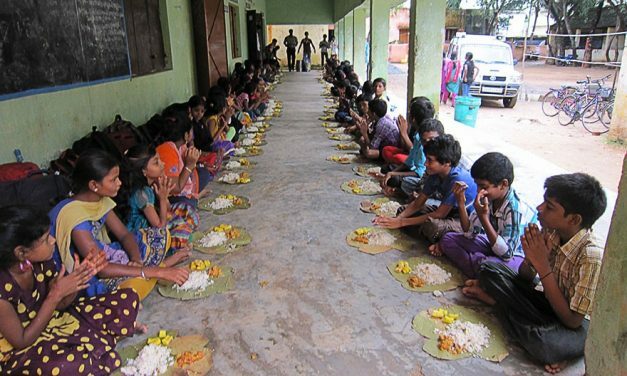 CHANDRAYAN VRATA- It’s an important austerity lasting for a month which commences on First day of the bright half of a month by observing fast for the whole day and breaking it in the night with one morsel of food. On the next day, i.e. 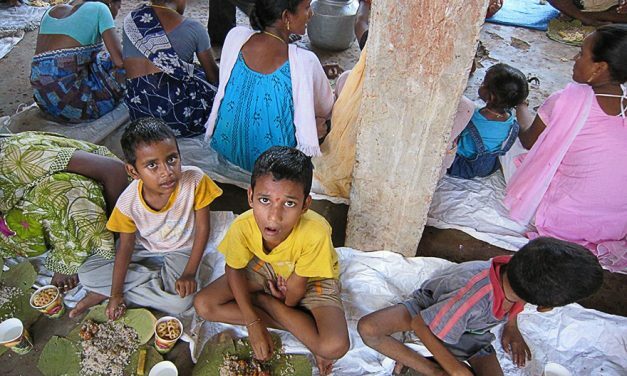 ‘dwitiya’ one morsel of food is increased which means that instead of one morsel of food now two morsels are taken. This way one morsel of food is increased on each of the following days till the fourteenth day (chaturdashi) when the fast is broken by having fourteen morsels of food. A total fast is observed on ‘Amavasya’ (dark moon). On the next day i.e. first day of the dark half of the month one morsel is decreased which means that the devotee should break his fast with thirteen morsels of food. This way one morsel is decreased on each successive day till ‘chaturdashi’ when a devotee breaks his fast by having only one morsel of food. This is the way, how a Chandrayan vrata should be observed. ANANG TRAYODASHI VRATA- This austerity is related with the worship of Lord Shiva and commences on the thirteenth day of the bright half of the Hindu month Margashirsh and lasts for a year. It concludes exactly after a year when ‘Rati’ and ‘Anang’ are worshipped with appropriate rituals. Ten thousand offerings are made in the sacrificial fire. 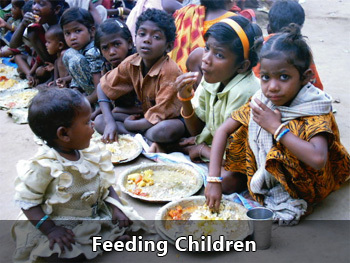 Brahmins are fed and donations made to them. One who observes this austerity is blessed with health, wealth and good fortune. AKHAND DWADASHI VRATA- This austerity is related with the worship of Lord Vishnu. It commences on the twelfth day of the bright half of the Hindu month Margashirsh and lasts for a year consisting of three phases. One important characteristic of this austerity is that after four months, which is the first phase of the austerity, five vessels filled with food-grains are donated to Brahmins. In the second phase of the austerity consisting of four months and commencing from the Hindu month Chaitra, pots filled with parched grams are donated to Brahmins. Similarly, in the third and final phase of the austerity pots filled with ghee are donated to Brahmins. SHIVA RATRI VRATA- This austerity is related with the worship of Lord Shiva and a fast is observed on the fourteenth day of the dark half of the Hindu month Falgun. A devotee should observe fast in the night and worship Lord Shiva by chanting ‘Om Namah Shivay’. He should perform ‘havan’ with black sesame seeds and worship Lord Shiva at midnight, in the third and the fourth ‘prahar'(one prahar equals three hour) with appropriate rituals. One who observes fast on this day gets all his wishes fulfilled and attains salvation as well. 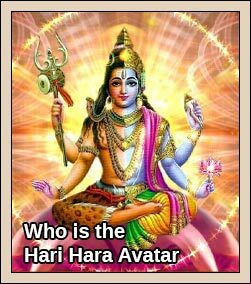 A devotee who observes Shiva Ratri fast for twelve successive years acquires knowledge, wealth, success and happiness. Such a man also attains to Shiva loka after his death. VIRTUES OF OBSERVING FAST ON SHIVA RATRI NIGHT- During ancient times there lived a hunter named Sundarsen in the province of Arbuda. One day, he went deep into the forest in search of his prey but unfortunately he found none. He wandered all over the place but in vain. When evening came, he climbed up a wood apple (Bael) tree to protect himself from the wild animals. Sundarsen was worried that his family would have nothing to eat that night. Engrossed in his contemplative mood, he kept on plucking leaves from the ‘Bael’ tree and throwing them down. There was a Shiva linga just under the tree and the leaves, which Sundarsen threw, fell down on it. Next morning while Sundarsen was climbing down the tree, his arrow fell down. While picking up his arrow, he touched the Shiva linga. Sundarsen was unaware of the fact that it was Shivaratri night and he had worshiped Lord Shiva with appropriate rituals albeit inadvertently-he had offered Bilva patra to Lord Shiva and had touched the Shiva linga. He attained to Shiva loka on account of the virtues attained by his inadvertent worship of Lord Shiva. One day, something happened which made Kaushik extremely angry and in a fit of rage he made an impossible demand thinking that his wife would never comply by it giving him an opportunity to curse her to the satisfaction of his heart. Shouting angrily at his wife, Kaushik said- Age has started showing effect on you. You don’t look beautiful as before. You have also started neglecting me. Take me to a beautiful prostitute so that I can satisfy my sexual urge. Kaushik’s wife was deeply hurt by his rude and unfair remarks but she remained cool and calm. Being a chaste and faithful wife she had no option but to obey her husband’s command. So, she left for a prostitute’s house carrying Kaushik on her shoulders. And indeed, the Sun stopped rising from the next morning leading to catastrophic fallout. Everything went haywire in the world, which made the deities extremely worried. They came to me (Lord Brahma) with a request to reveal why Sun had stopped rising. I told them that it was all due to the curse of a chaste woman and then I narrated the whole story. I revealed to them that nobody except Sati Anusuya was capable of bringing back order in the world. I advised them to seek the help of Sati Anusuya who was famous for her exceptional chastity. So, all the deities went to Sati Anusuya and requested her to make the Sun rise so that everything became orderly in the world once again. Sati Anusuya agreed to lend her help in bringing back normalcy in the world. She, by the virtue of her chastity not only made the Sun rise daily but also made dead Kaushik alive once again. Such is the power commanded by a woman practicing the austerity of chastity. There are numerous examples of such women famous for their chastity and Sita was one of them. Lord Brahma then went on to describe the famous tale of Ramayana the mere listening to which absolves a man from all his sins. He began by giving the details of Sri Ram’s lineage and said-‘ I (Lord Brahma) manifested from the Lotus originating from the navel of Lord Vishnu. Sage Marich manifested from me while Kashyap was Marich’s son. Surya manifested from Kashyap, Vaivaswat-Manu from Surya and Ikshavaku was born to Vaivaswat-Manu. The great King Raghu was also the descendant of Ikshavaku. Raghu’s son was Aja, whose son was Dasharath. Dasharath had three queens-Kaushalya, Kaikeyi and Sumitra. Kaushalya gave birth to Sri Ram while Kaikeyi was the mother of Bharat. Sumitra had two sons-Laxman and Shatrughan. Sri Ram had great devotion towards his parents. Sage Vishwamitra, who was tormented by the demons, took Sri Ram and Laxman along with him so that he could do his penance peacefully. He assured Dashrath that he would make both his sons proficient in all the scriptures as well as in the usage of various weapons. With great reluctance, Dasharath allowed Sri Ram and Laxman to go along with Vishwamitra. 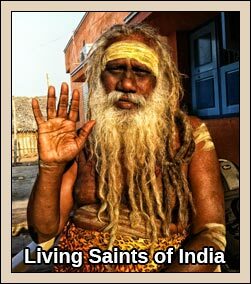 Once in the forest Sri Ram assured his Guru to do his penance without bothering about the demons. Vishwamitra commenced his penance and Sri Ram killed all the demons trying to disturb him. The names of few demons killed by Sri Ram were Tadaka, Subahu, etc. Janak, the father of Sita had organized a grand ‘Swayamvar’ ceremony to which he had invited all the prominent kings of that time. He had also sent invitation to Vishwamitra. Vishwamitra set out for Janakpur accompanied by Sri Ram and Laxman. Janak had a huge bow gifted to him by Lord Shiva and which he worshipped daily with appropriate ritual. Once during the process of cleaning the area where Shiva’s bow was kept, Sita lifted the bow and kept it a distance. Later on she forgot to keep it back at the original place. When Janak came to worship the bow he was surprised to find it to be kept at a different place. He made an inquiry and Sita confessed that she had kept it while cleaning the place of worship. Janak just could not believe that his tender looking daughter possessed such strength and power. No wonder he decided to give Sita’s hand in marriage to such a man who could break Shiva’s bow. So, he made a declaration that anybody capable of breaking Shiva’s bow could have Sita as his wife. There were many mighty warriors present at the ‘Swayamvar’ ceremony but none had the strength to even lift the bow what to say about breaking it. Finally, as the destiny would have liked it, Sri Ram broke the bow into three pieces and thus married Sita. Laxman married Urmila- another daughter of Dasharath while Bharat and Shatrughan married Mandavi and Keertimayi respectively, both daughters of King Kushadhwaja. Later on, when Dasharath decided to crown Sri Ram as the King of Ayodhya, Kaikeyi played a spoilsport and demanded her son-Bharat to be made the King of Ayodhya and Sri Ram to be sent into exile for fourteen years. Actually, Kaikeyi had taken undue advantage of Dasharath’s helpless condition to serve her own interest. Once, Dasharath was busy fighting a battle oblivious of the fact that one of the wheels of the chariot was about to eject from its axle as the nail supporting it had fallen off. Kaikeyi, who was also accompanying him, saved his life by preventing the wheel from falling off and thus maintaining the balance of the chariot. 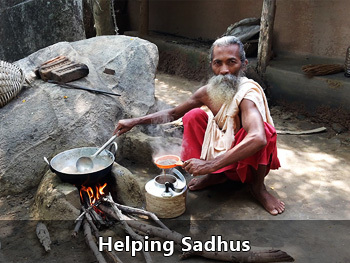 When Dasharath learnt how Kaikeyi had saved his life he promised to grant her two boons. At that time Kaikeyi did not ask for any thing and merely said that she would demand at the appropriate time. So, when the time for Ram’s coronation came she thought it was the best opportunity for her to remind Dasharath about the two boons he had promised to grant her. Dasharath, bound by his deep love for Sri Ram on the one hand and by his vow on the other, agreed to Kaikeyi’s demand with a heavy heart. Sri Ram without any hesitation followed his father’s order and left for the forest. How could have Sita and Laxman lived without him? So, they too accompanied him to the forest. In course of his journey, Sri Ram passed by many holy places and finally after reaching Chitrakoot he made a ‘Parna kuti’ (hermitage made of leaves) and started living there. The shock caused by Sri Ram’s separation proved to be fatal for Dasharath, who died with an unfulfilled desire of having a glimpse of his dearest son. 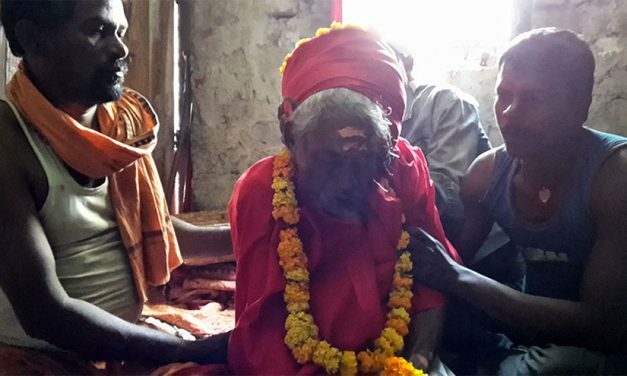 Bharat, who at that time was at his maternal uncle’s place, returned to Ayodhya after hearing the news of his father’s demise and performed his last rites. He then went to Chitrakoot and tried his level best to convince Sri Ram into returning back to Ayodhya. But, Sri Ram did not agree, as it was against his principle to disobey the commands of his father. Sri Ram gave his pair of wooden sandals to Bharat as a token of love and requested him to return to Ayodhya. Bharat returned to Ayodhya and kept Sri Ram’s sandals on the throne. He then stationed himself at Nandigram- a city situated at the outskirts of Ayodhya and started ruling from there on behalf of his elder brother. He had vowed not to return to Ayodhya till the completion of Sri Ram’s period of exile. From Chitrakoot, Sri Ram reached Dandakaranya accompanied by Sita and Laxman and started living in a hermitage made of leaves. There they also met prominent sages like Atri and Agastya. Once an ogress named ‘Surpanakha’ (Ravan’s sister) attacked Sri Ram but Laxman retaliated by severing both her ears as well as her nose. Surpanakha, badly injured and bleeding profusely, went to Khardushan and narrated her woeful tale. Khardushan attacked Sri Ram with a huge army consisting of fourteen thousand soldiers but lost all his men in the battle. The revengeful Ravan went to the hermitage disguised as a hermit and abducted Sita while Sri Ram was away in pursuit of Marich-the golden deer. Actually, Marich was a demon, who had disguised himself as a golden deer on the instruction of Ravan so that Sita could be abducted successfully. Ravan knew quite well that it was impossible for him to abduct Sita in the presence of Sri Ram. So, he hatched a plan according to which Marich was to disguise himself as a golden deer and enchant Sita. Ravan was sure that Sita after being enchanted by the beauty of the golden Deer would ask her husband to get it at any cost. Everything happened as per the plan of Ravan and he was successful in abducting Sita. When Sri Ram did not find Sita in the hermitage he became worried and started searching for her frantically. On the way he met old Jatayu, who had got injured while trying to resist Ravan from taking away Sita. Jatayu informed him that Ravan had taken Sita towards south. Jatayu was so badly injured that he died soon after giving Sita’s information to Sri Ram. Sri Ram performed his last rites and continued with his search. He proceeded towards south as per the instructions of Jatayu and reached ‘Rishyamook’ mountain where he met Sugreeva, whom he befriended. He killed Bali, who harboured enemity against his brother- Sugreeva. He then made Sugreeva the King of ‘Kishkindha’ and himself went to live at ‘Rishyamook’ mountain. Sugreeva sent monkeys in all directions to find out Sita’s whereabouts. Hanuman went towards south and with the help of Sampati managed to find out the exact location where Ravan had kept Sita. Hanuman took a giant leap and the next moment he found himself on the other side of the ocean. He went to ‘Ashok- Vatika’ where Ravan had kept Sita in captivity. He presented the ring to her, which Sri Ram had given him. Sita, in turn gave her ‘Chudamani'(ornament) and requested him to give it to Sri Ram. Jumping from one branch to another, hungry Hanuman ate all the fruits and in the process destroyed the beautiful garden. When Ravan came to know about the destruction caused in the beautiful garden of ‘Ashok Vatika’, he sent many demons to capture Hanuman. But, all of them were killed including Akshay Kumar, Ravan’s son. Ultimately, Hanuman was made captive by Meghanad and produced before Ravan, who ordered his tail to be set ablaze as a punishment. Hanuman, with his tail ablaze, jumped from one palace to another and burnt the golden city of Lanka within no time. He then returned to his master Sri Ram and described everything in detail. Finally, Sri Ram attacked Lanka with a huge army comprising of mighty warriors like Hanuman, Sugreeva, Angad and many others. A fierce battle took place in which all the demons including Ravan were killed. The victorious Sri Ram returned to Ayodhya along with his consort Sita. The residents of Ayodhya danced in joy at the return of their prodigious son. Sri Ram ruled over Ayodhya for eleven thousand years. Finally he ascended to the heaven taking along all the people of Ayodhya with him but before doing that he appointed Lav and Kush-his Sons, as his successors. Making a revelation to Vyas that the Almighty God manifests himself whenever the civilization is endangered by the dominance of sinners, Lord Brahma said- ‘In Dwapar yuga, Lord Vishnu incarnated as Sri Krishna to protect Dharma from being subjugated by ‘Adharma’, which had become all pervasive at that time. He was born to Vasudev and Devaki. Both his parents had been kept under captivity by Kansa, who was aware of the prophesy that he would be killed by Devaki’s eighth son. In due course of time Devaki gave birth to seven sons all of whom were mercilessly killed by Kansa one by one. In order to protect the life of Sri Krishna- the eighth child born to Devaki, Vasudev exchanged him with the baby girl born to Yashoda and Nand. Vasudev had no problem in moving out of the prison as Krishna by his divine power induced all the guards to sleep. Sri Krishna, being an incarnation of Lord Vishnu performed great feats right from his childhood. Once, Kansa sent an ogress named Putna, who tried to kill Sri Krishna by breast-feeding him. But, Krishna sucked her breasts with such ferocity that Putna met an instant death. In due course of time Sri Krishna killed many more ferocious demons like Shakatasur, Kaliya Nag, Dhenukasur and mesmerized the residents of Gokul by his divine bravery. He also performed many other divine feats like lifting Govardhan mountain and performing Raas-Lila with the Gopis. Seeing all his plans of killing Sri Krishna go in vain, Kansa sent him a message challenging for a ‘duel- bought’ with his court-wrestlers named ‘Mushtik’ and ‘Chanur’. Sri Krishna killed both the dreaded demons without much difficulty. Ultimately, Sri Krishna climbed up the throne sitting on which Ravan had been watching the wrestling bout and pulled him down by his hair. He then punched Kansa on his chest so hard that he died an instantaneous death. Having accomplished his most important mission of killing the demon king-Kansa and liberating the earth from his tyranny, Sri Krishna went on to complete his education under the tutelage of Sage Sandipani. During ancient times it was customary for a disciple to offer Dakshina to his teacher, as a mark of respect after his education was complete. Sri Krishna following this tradition gave an invaluable Dakshina to his Guru by bringing all his dead sons alive to earth from ‘Yamloka’. Sri Krishna was subsequently crowned as the king of Mathura but on account of the relentless attack by Jarasandha he had to abandon his dear city and shift his base to Dwarka. He had eight queens among whom Rukmini and Satyabhama were prominent. Later on he rescued sixteen thousand and one hundred women from the captivity of Narakasur and married all of them. From Rukmini he had a son named Pradyumna, who killed Shambarasur. Aniruddha was Pradyumna’s son and he married Usha- daughter of Banasur. Banasur was a great devotee of Lord Shiva and was blessed with one thousand hands. Lord Shiva came to his rescue at the time when he was battling against the might of Sri Krishna. A fierce battle was fought between both the deities, which remained inconclusive even after a long time. Lord Shiva then requested Sri Krishna to spare Banasur’s life to which he agreed albeit partially. Sri Krishna severed all the hands of Banasur barring two. Finally, after accomplishing his mission of liberating the earth from the darkness of sin Sri Krishna left for heavenly abode. Giving the reasons that lead to the great battle of Mahabharat, Lord Brahma told sage Vyas that Sri Krishna had planned this great battle and executed it to perfection to relieve the earth from the burden of tyrants. While giving the names of lineal ascendants of Kauravas and Pandavas, he said-‘ I (Lord Brahma) manifested from the lotus which itself had its origin in the navel of Vishnu. Atri manifested from me while Chandra from Atri. Buddh was born to Chandra while he himself was the father of Pururava. Aayu was Pururava’s son while he himself was the son of Yayati. The names of few famous descendants of Yayati were Bharat, Kuru and Shantanu. Shantanu had two wives- Ganga and Satyavati. The former was the mother of Bhishma, the indomitable warrior, who had vowed to remain a bachelor throughout his life. The latter i.e. Satyavati gave birth to two sons- Chitrangad and Vichitraveerya. A Gandharva killed Chitrangad while Vichitraveerya died issue-less despite having two wives- Ambika and Ambalika(both daughters of the king of Kashi). In order to expand their clan both Ambika and Ambalika begot one son each from sage Vyas. Ambika gave birth to Dhritrashtra while Ambalika to Pandu. The same Vyas also had a son from a maid servant who became famous as Vidur and who was famous for his statesmanship and tactfulness. Dhritrashtra married Gandhari and begot one hundred sons from her among whom Duryodhan was most notorious. These one hundred sons of Dhritrashtra became famous as Kauravas. Pandu had two wives Kunti and Madri from whom he begot five sons-Yudhishthir, Bhima, Arjun, Nakul and Sahdev, who all grew up to be very powerful and mighty. All five of them became famous as Pandavas. Pandu, their father had died while they were still young and Madri, unable to bear the sorrow had given up her life by jumping into the burning pyre of her dead husband. So, the Pandavas were brought up under the guardianship of Kunti. Kauravas and Pandavas were bitter rivals right from their childhood. Duryodhan never missed a chance to torment the Pandavas- his cousins. Both Kauravas and Pandavas were brought up under the tutelage of Kripacharya and Dronacharya, both prominent scholars of their times. Once, Duryodhan tried to kill Bhima by poisoning him but fortunately Bhima not only came out unscathed but also with renewed strength and vigour. Duryodhan tried his luck for the second time to eliminate his enemies by setting ablaze the house of wax in which Pandavas were living but once again they came out unharmed. Pandavas then went to ‘Ekchakra Nagar’ and took refuge in the house of a Brahmin family. A demon named ‘Baka’ used to torment the people of Ekchakra Nagar. Bhima killed that demon and the people were relieved at the news of their tormentor’s death. Thereafter Pandavas went to attend the Swayamvar ceremony of Draupadi. Arjun won Draupadi as his wife by piercing the eye of the fish hanged above his head by looking at its image in the water-pot kept below. At the insistence of Dronacharya and Bhishma, Yudhishthir reluctantly agreed to share half of his Kingdom with the Pandavas. Thus Pandavas started living at Indraprashth, the capital of their newly acquired Kingdom. Arjuna married Subhadra, his second wife and the sister of Sri Krishna. He pleased Agni Dev by his austere penance and received divine weapons like- a divine chariot, Gandiv (bow), imperishable arrows and an impenetrable shield. After being armed with these divine weapons he successfully defeated many powerful monarchies and gave the whole acquired wealth to Yudhishthir, his elder brother. Dhrithrashtra invited Yudhishthir for a game of ‘Dyuta’ (gamble) but Duryodhan defeated him by employing unfair and deceitful tactics with the active connivance of Shakuni- his cunning maternal uncle. Yudhishthir lost everything in the gamble- his whole wealth, his kingdom and even Draupadi. Pandavas had to go into exile for twelve years with an additional year of ‘Agyatwas'(they were not supposed to be recognized during this period) as per the terms and conditions laid down for the game. After completing their total period of exile, Pandavas reached Virat Nagar to spend their year of ‘Agyatwas’, which posed more dangers and challenges because if they were recognized during this period it would have meant another twelve years of exile for them. Having successfully completed their period of exile, Pandavas demanded back their Kingdom but Duryodhan was not even willing to part away with five villages. Thus Pandavas were left with no option but to fight for their legitimate rights. Both the rival armies boasted of mighty and brave warriors on their sides. Duryodhan appointed Bhishma as the chief commander of his army whereas Shikhandi was leading Pandava’s army. The first ten days of the battle saw a fierce fight between both the rival armies during which period many warriors from each side achieved martyrdom. Finally, while Bhishma lay down injured, his whole body pierced with Arjuna’s arrows, but still alive because he had received a boon of ‘Iccha Mrityu'(death by his choice) prominent warriors from both sides stood around him. It was only after the Sun came north of equinox (Uttarayan), the auspicious time Bhishma had chosen to leave his mortal body that he died after preaching the Pandavas on wide range of subjects. After Bhishma’s death Dronacharya led the Kaurava’s army. This was the most crucial phase of the battle. Dronacharya had become so demoralized after his son’s death, that he had just no motivation left in him to fight the battle. Finding an opportune moment, Dhrishtadyumna severed his head and Kauravas thus lost their most able and experienced commander. Duryodhan appointed Karna as the next commander of Kaurava’s army. The most decisive phase of the battle began and after a fierce battle of two days Arjuna managed to kill his brave rival. Subsequently, Yudhishthir killed Shalya. After loosing all his mighty warriors, Duryodhana, in a fit of rage challenged Bhima for a duel of mace. Bhima killed him after a fierce fight. The revengeful Ashwatthama, son of Dronacharya, attacked the Pandava’s camp at night, much against the norms of battle and killed all the five sons of Draupadi and thousand of other Pandava soldiers. Arjuna avenged the death of his sons by defeating Ashwatthama and extracting the diamond set in his forehead. After the battle ended, Yudhishthir performed the rituals of Shraddh in the name of all the dead warriors and ascended the throne. He ruled in a just manner just according to the instructions given by Bhishma. After Sri Krishna left this mortal world, Yudhishthir appointed Parikshit as his successor and left for Himalaya accompanied by his brothers as well as Draupadi. Lord Brahma, while shedding light on various aspects of religion told sage Vyas that a man should look at his sorrows (shoka) with a sense of aloofness and detachment, considering it as a passing phase. He also revealed to Vyas that the ‘Fire of sorrow’ consumed everything that came into its fold and nothing remained untouched by it. A sorrowful man becomes bereft of all his possessions-knowledge, religion, physical strength, patience, happiness and all such qualities. Lord Brahma also told him that virtuous deeds never went without being rewarded, as all good things enjoyed by a man in his life are nothing but the result of his virtuous past ‘Karmas’. On the contrary sinful deeds committed by a man makes his present as well as his future births miserable. Further, glorifying the virtues of some other good deeds, Lord Brahma said-‘ Protecting the life of a person, whose life is endangered and who has sought one’s refuge is the greatest virtue and no other deed can be compared with it. One who sheds his life to protect his religion attains to heaven. Lord Brahma concluded by describing Sanatan Dharma in a nutshell and said-‘ Anybody observing the following austerities should be considered an ardent follower of ‘Sanatan Dharma’- truth, penance, self-control, purity, forgiveness, compassion, knowledge and donation. Thus Sutaji told sage Shaunak that anybody could attain salvation by simply having total devotion in Lord Vishnu as it was the most simplest path leading to the Almighty. DAITESHWAR ENDRA SANHARINAKHA BHUKTI VIRAJIT. 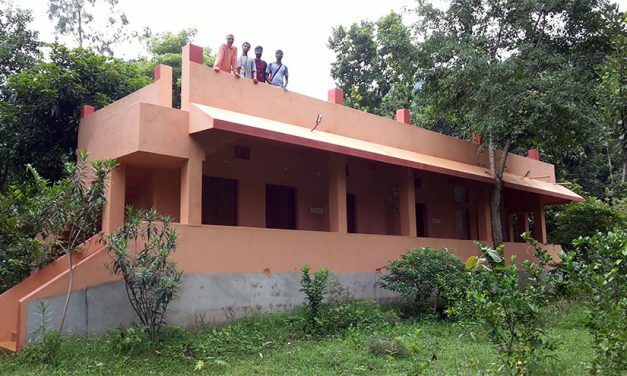 SAHASTRA YAM SANTRAS SAHASTRENDRA PARAKRAM. SAHASTRA CHANDRA PRATIM SAHASTRANSU HARIKRAM. SAHASTRA RUDRA SANJAAT SAHASTRA AKSHA NIRIKSHANA. SAHASTRA VAYU VEGASA SAHASTRA ANGA KRIPAKAR. SARVAGYA MACHALAM VISHNUM SADA DHYAYET SA MUCHYET. SARVATKAM CHA VAI YAVADATMA CHAITANYA RUPAKAM. BRAHMADI DEVA GANDHARVAI MUNIBHIH SIDDHA CHARANAIH. SANSAR BANDHANAN MUKTI MICHHAMLEKO DHYA SHESHATAH. SANSAR BANDHANAAT KOPI MUKTI MICHCHHAN SAMAHITAH. VISHVESHWAR MASARAM VISHNUM SADA DHYAYAN VIMUCHYET. SHANKH CHAKRA DHARAM DEVAM VYAKTA RUPIN MATYAYAM. VARAHAM VAMANAM VISHNUM NAARSIHAM JANARDANAM. PURUSHAM PUSHKAR KSHETRABIJAM PUNYAM JAGATPATIM. SAHASTRA SHIRASAM DEVAM VYAKTA TYAKTAM SANATANAM. ITYUDI RITMARKANDYAM STOTRAM TASYA MAHATMANAH. Not running after sensual pleasures by having self control helps a man in diminishing his sins and diminishment of sins pleases the deities who give blessings. Blessings of deities help a man to attain salvation. Pranayam, an important part of Yoga is of two types-‘Garbha’ and ‘Agarbha’. Pranayam, done with simultaneous chanting of a mantra is called ‘Garbha’ whereas in ‘Agarbha’ Pranayam mantras are not chanted. It is natural for a man to get attracted by worldly pleasures and checking this tendency of the mind is called ‘Pratyahar’. It is not easy to control the mind and concentrate on anything for a long time but ‘Dharana’ helps a man to do that. When a man has successfully controlled his sensual desires, then it becomes very easy for him to concentrate his mind. A concentrated mind finds it easy to meditate. When he has mastered meditation it is not much difficult for him to enter into the deep state of meditation i.e. ‘Samadhi’. In the state of ‘Samadhi’, all sense of dualism cease to exist as one establishes divine link with the Almighty, which helps him in experiencing indescribable divine bliss. TADAMRIT TWA MAPNOPATI JIVANNEVA NA SANSHAYAH. Meaning- When there is no desire left in the heart then a man is certain to experience the divine taste of this nectar (self realization) in his life time– and there is no doubt about it. ‘ Unfortunately, most of the people are unaware of the presence of divinity in them- the existence of ‘Brahm’ in each of them. The reason for this is not much difficult to comprehend because this fact is so subtle that only enlightened souls can experience it. HE lies dormant and cannot be experienced until and unless HE is awakened by means of austerities and penance. ‘Brahm’ is ever present in a man and does not abandon him in any of the three states of his consciousness- while he is awake, while he is dreaming or even while he is asleep. Ultimately, Lord Vishnu revealed to sage Narad that ‘Brahm’ whose glory he had praised was none other than himself. 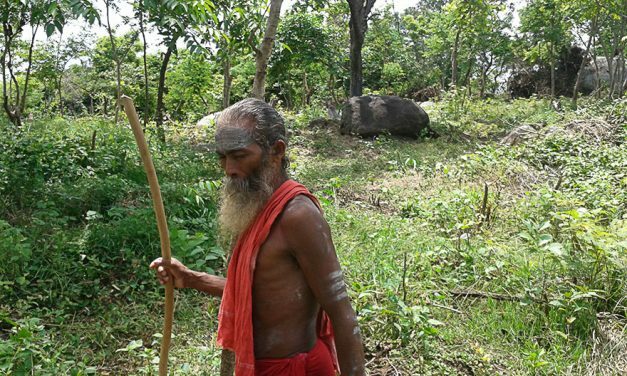 Sutaji once reached the forest of ‘Naimisharanya’ in course of his journey. Naimisharanya was a holy place where sages and hermits went to do penance. After reaching there Sutaji met many prominent sages who were pleased at his arrival. They took it as a God sent opportunity to get their doubts cleared on the mystery called death and what exactly happened after a man died. Sutaji recounted the tale of Garuda, who had once posed the same query to Lord Krishna. While narrating the tale, Sutaji said- ‘Garuda-son of Vinta, once decided to get a first hand experience of all the three ‘Lokas'(worlds). After visiting all the three worlds he returned to ‘Vaikunth loka’ and narrated his experiences to Lord Krishna. Garuda said- ‘ After visiting all the three ‘Lokas’ I found the Earth (Prithvi) little overcrowded as compared to other ‘Lokas’. I also found that it provided better opportunities to a man both for materialistic enjoyments as well as his spiritual advancement. So, I have come to the conclusion that ‘Prithviloka’ was the best of all the ‘Lokas’ in every respect. But, all round prevalence of sorrow and misery in ‘Prithviloka’ made me sad. I was really perplexed to see people performing complex rituals after the death of their relative. All these rituals appeared so absurd to me. I was really amazed to see people laying down their dead relatives on the ground. I could also not understand why a dead body is laid on the bed of ‘kusha’ grass and sesame seeds. I witnessed so many rituals that surprised me, for instance I could not understand the reason why donations are made after a man dies. I am puzzled by the mystery called death or, what becomes of him after he dies. This way Garuda flooded Lord Krishna with a barrage of questions and sought clarifications on them. Lord Krishna then went on to describe the proper rituals which are performed after the death of a man and said-” First of all, the area should be purified by coating it with a layer of cow-dung. This purified area is called ‘mandal’ and it is graced by the presence of the ‘Trinity’– Brahma, Shiva and Myself. Sesame seeds are then sprinkled on the purified area and kusha grass is spread. A person whose death is imminent is then laid down on the bed of kusha grass. Scriptures say that a person who does not leave his mortal body in the above mentioned way, wanders hither and thither in the form of a restless spirit. No amount of rituals can put such a soul to rest. O Garuda! Sesame seed has manifested from my sweat and hence is extremely pure. All kind of evil forces like, ghosts, spirits, demons, etc. keep away from the place where it is used. Describing the experiences of the soul when it leaves the body, Lord Krishna said–” The soul leaves the mortal body with great reluctance because the attachment with the mortal world exists even after his death. Yamdoots, descend down to earth to take the soul of the dying man to Yamloka. Those who have committed grave sins are tied with ropes and taken to Yamloka with great humiliation but virtuous souls are taken with honour and due respect. Yamraj- the lord of death receives the virtuous soul with all the honour and respect and metes out punishment to those who had committed sins during their lives. Continuing with his narration, Lord Krishna said–” O Garuda! Death comes at the predetermined time, which remains fixed and unaltered under all circumstances. A man’s sense organs become weak and his body feeble, which gets inflicted with numerous diseases in his old age. At the time of his death, man experiences unbearable pain and he begins to loose his consciousness. Yamdoots arrive and begin to retrieve the soul from the body and this aggravates the pain. Ultimately, the soul, which is not more than the size of a thumb, reluctantly comes out from the body as the attachment with the world exists even after his death. But, a virtuous person does not go through all these painful experiences at the time of his death. The soul has to take birth in different species as well as go through cycles of countless births, deaths and rebirths in order to taste the fruits of his Karmas. Describing the significance of ‘Pinda daan’ rituals, Lord Vishnu told Garuda that they are performed so that manes are satiated. He also revealed to him that six pinda daans are offered to the manes while performing the rituals of last rites– ” The first ‘pinda-daan’ is made at the place where person has breathed his last while the second, third, fourth, fifth and sixth ‘Pinda daans’ are made at the main entrance of the house, the nearest cross-roads, the cremation ground, on the pyre itself and at the time of collecting last remains (Asthi) respectively. DO PLEASE SEND ME IF THERE ARE MANTRAS FROM “GARUDAPURANAM” TO GET MIRACULOUSLY WEALTH GETTING POWER IMMEDIATELY & IT’S WAY OF CHANTING IT.IT WILL BE OF MUCH HELP TO ME TO COME OUT OF POVERTY.